A big part of what it means to live in Vancouver is being close to the ocean, the forest, and the mountains. There is nothing better than looking across the water to the majestic peaks of the North Shore. 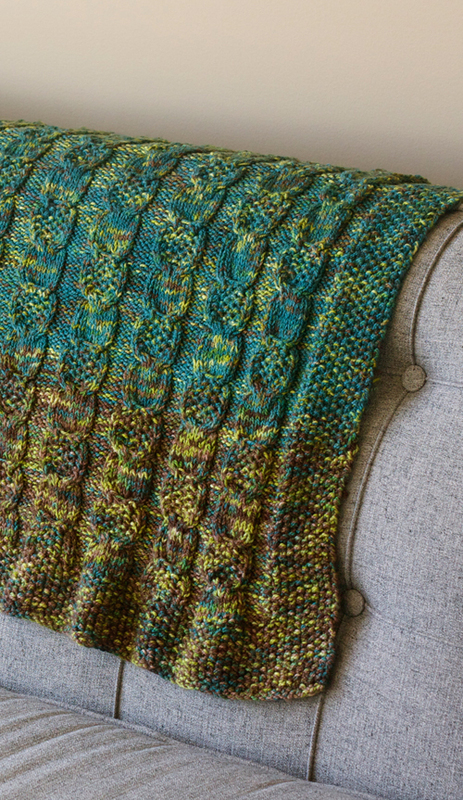 This blanket was inspired by the road to Whistler, along the Sea to Sky highway. The road curves along a sheer slope with peaks to one side and a drop to the Pacific on the other. Sample shown was knit from 2 strands of sock yarn held together. One is a variegated colourway which is used throughout the blanket. The other is a series of semi-solid colourways which shift from golden to blue. The sea to sky blanket pattern is available as an individual pattern download, or as part of the Pacific Knits collection.